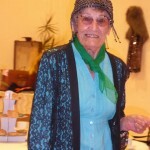 Boogie in Balintore dance project offered a year of dance activity and social opportunities to older adults living in the Seaboard Villages from 2016-17. 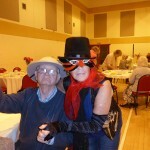 Funded by the Voluntary Action Fund and delivered by Julia and Cath Giles through Isabella Dance. 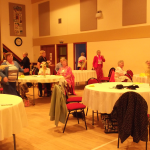 By collaborating with local groups such as the Seaboard Over 60s and the Seaboard Cares Charity, Boogie in Balintore aimed to reach out to older adults in the Seaboard Villages and encourage participation in a fun, social activity that is also great for improving fitness. 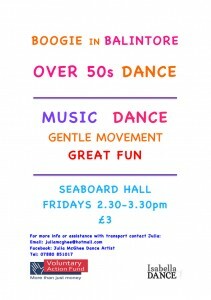 As a legacy of the project weekly dance classes for the Over 50s are led by Julia in the Seaboard Hall in Balintore. The Seaboard Cares Charity have teamed up with Isabella Dance to host the next Tea Dance Extravaganza at the Seaboard Hall in Balintore on Saturday 18th November, 2-4pm. 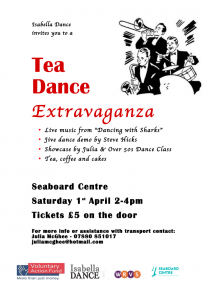 Come along and enjoy a fabulous afternoon of dancing and live music from the fabulous band Dancing with Sharks, see the community showcase and enjoy refreshments care of the Seaboard Cafe. Tickets available on the door – £6 for adults and £3 for Under 16s. A raffle will be held with proceeds donated to the Seaboard Cares Charity, supporting disadvantaged and vulnerable people living in the Seaboard. 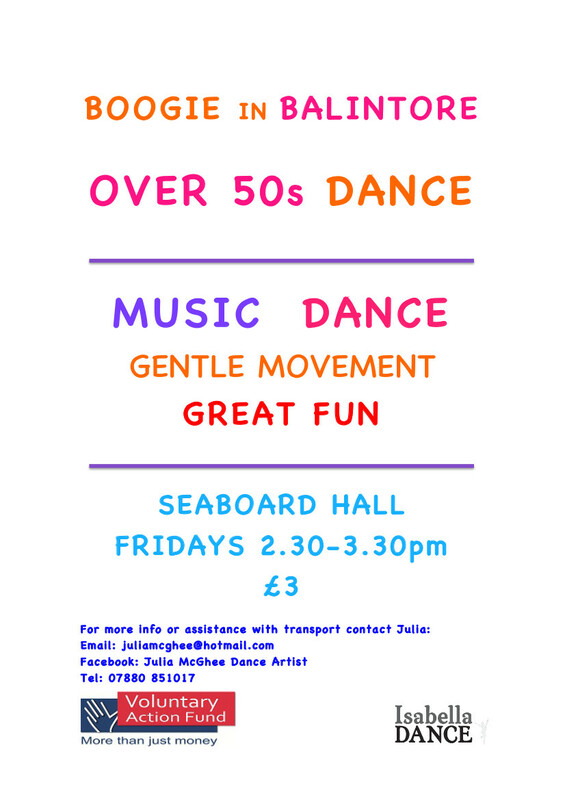 This is a gentle dance for fitness class that runs each Friday in the Seaboard Hall. The class starts with seated exercises to promote stability and then moves on to short dance routines using steps from line dancing, jazz, tap and contemporary dance. 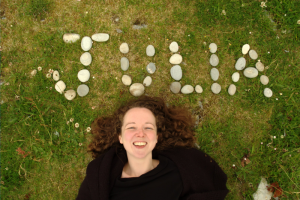 We use a variety of music: from Dolly Parton to Paul Simon, Amy MacDonald to Johnny Cash. And we’re completely open to requests! The Over 50s dance class is open to anyone who would like to come along and Isabella Dance can provide assistance with transport – get in touch with Julia. 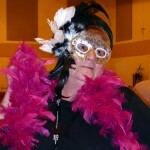 Our second Tea Dance Extravaganza was even bigger and better than the first! 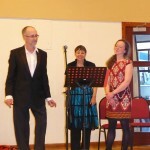 We had a jam packed programme including: live music from 9 piece Ballroom and Latin Dance band “Dancing with Sharks”; showcase performances by the Over 50s dance class, from ballroom dancers Helen and Michael Milford, and Jive tutor Steve Hicks. Steve also led a free beginners jive class as part of the event and then there was plenty of opportunity for social dancing. The Seaboard Cafe provided a wonderful afternoon tea and coped admirably with double the numbers expected to turn up on the day! The raffle – with prizes donated by Anta, Cullisse Oil, Ardgay Game, Glenmorangie and Highland Fine Cheeses – raised £150 for the Seaboard WRVS who run the Over 60s Club and organise events and trips for older adults in the community. 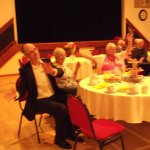 Following the event, we had a feedback meeting with some of the Over 50s dance class members who participated in the Tea Dance. 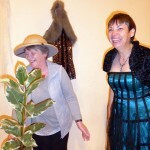 You can listen to their thoughts and suggestions for the next Tea Dance – lots of good ideas! 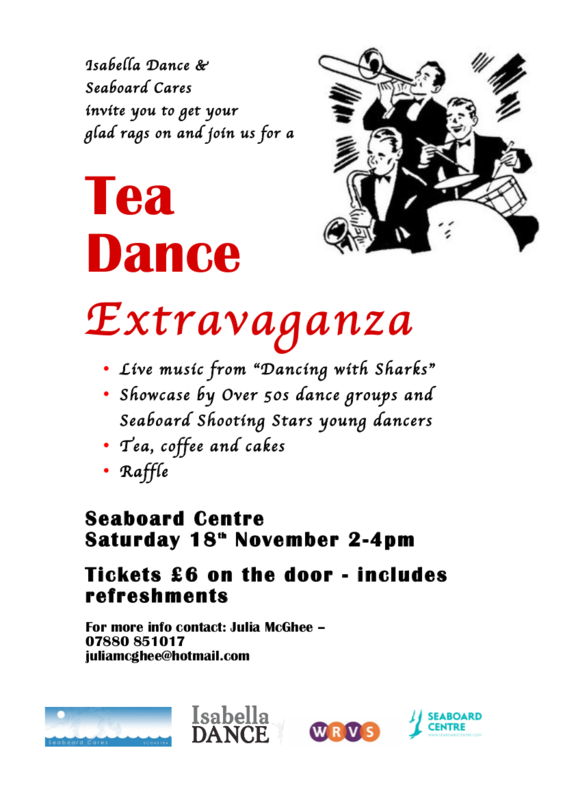 October Tea Dance Extravaganza a big hit at the Seaboard Over 60s Club! 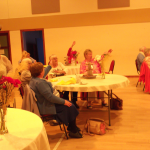 On Wednesday 5th October Isabella Dance and the Seaboard Over 60s hosted a Tea Dance Extravaganza at the Seaboard Hall, Balintore. The event had a ‘Puttin’ on the Ritz’ theme with a dressing up box full of fabulous sequins, top hats and feather boas to get everyone in the mood. It was definitely a hit! The event kicked off with live music from Nicky Murray and Chloe Rodgers, playing a mix of Scottish Traditional Music, while everyone enjoyed a delicious afternoon tea served by volunteers from the Royal Voluntary Service. This was followed up by a seated dance demo led by Julia from Isabella Dance. 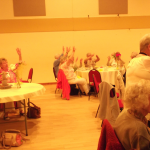 Everyone had the chance to dance – joining in at their tables with a variety of easy exercises designed to loosen the joints and get the circulation going. 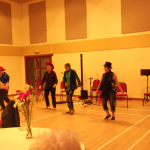 It was a great opportunity to share what goes on at the Over 50s dance class and current participants took to the floor to demonstrate some of the routines that they have learned in class. 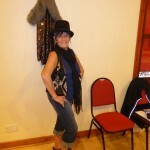 And as well as live music and dance we also had some wonderful live singing by Rae Jack who brought a little bit of ‘Chicago’ to Balintore. 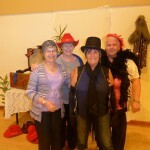 The Boogie in Balintore Tea Dance Extravaganza was part of Luminate: Scotland’s creative ageing festival. Luminate is an annual festival that takes place across the length and breadth of Scotland each October, offering the chance to celebrate creativity, share stories and to explore what ageing means to all of us.